The Universal Orlando resort is known world wide for its state of the art technology and incredibly themed environments, but did you know it is also a great place to meet some of your favorite non-Disney characters? I didn't until my first visit! Just a few miles away from the place where dreams come true, down the road on Interstate 4, is a resort where you can ride the movies and be immersed in the worlds of Harry Potter, Dr. Seuss, Jurassic Park, and many more. Note: Unlike Disney World, the characters at Universal don't have published meeting times. As a life long fan of the series The Simpsons, it's great to see Springfield's first family out and about saying hello to their adoring public. Homer, Bart, Lisa and Marge all make intermittent appearances in the Simpsons area of Universal Studios, and, if you're lucky, you might just run into Krusty the Clown and Sideshow Bob as well! The biggest stars of Hollywood's golden era frequently roam the Hollywood Boulevard area of Universal Studios throughout the day, and don't be ashamed if you get a little starstruck if you happen to run into Marilyn Monroe and Lucille Ball! These two are a RIOT and worth every minute you might spend in line to meet them. Over in the Woody Woodpecker's KidZone area of Universal Studios, SpongeBob SquarePants and Patrick Star are ready to greet you with a smile and a hug! Just don't ask Patrick if mayonnaise is an instrument, he doesn't know the answer either. You might just get to meet Squidward!!! ...or you can even get a chance to sharpen your claws with Wolverine! Fans of the hit films from the Despicable Me series will be ecstatic to find out that every major character from the films, from those adorable little Minions to the big bad Gru himself are all available to meet! It's so much fun to boogie with those Twinkies with eyes! The Raptor Encounter at the Jurassic Park section of Islands of Adventure puts you right in front of a real life velociraptor, and will have you either laughing or screaming from fright. I can't recommend this experience enough. 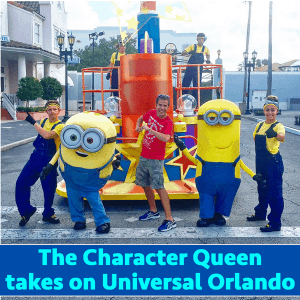 This is only a small portion of character experiences offered at the Universal Orlando resort! 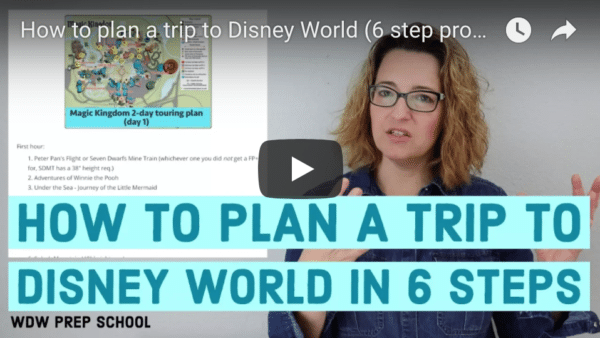 You have the opportunity to meet so many characters that you never thought you could! Happy Character Hunting! Is it possible to meet Scooby Doo? Great article Dustin!!! Always enjoy seeing where the “character queen” winds up each day! !